Yesterday, I went exploring Lockleys Pylon track which is a walk which begins approximately 10k's off Mount Hay road from Leura, NSW. It was a gusty & unpredictable day so I left Maxx a screen grab of where I intended to walk, should I be blown off the ridge. Going it alone was probably not wise, but Maxx had other committments. The scenery is breathtaking and the exposed grass plateau en route moved in waves due to the high winds. 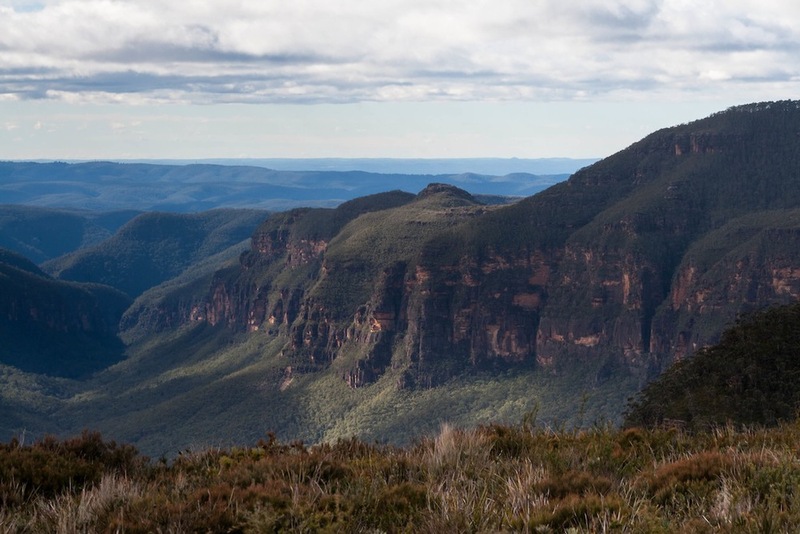 The views of Grose Valley and Mount Hay rivalled anywhere I have previously seen in the Blue Mountains. I encountered a small tourist group on the return to the car which surprised me. I'm just grateful that large tourist busses are denied access to this area; its only for those willing to get off the beaten track.